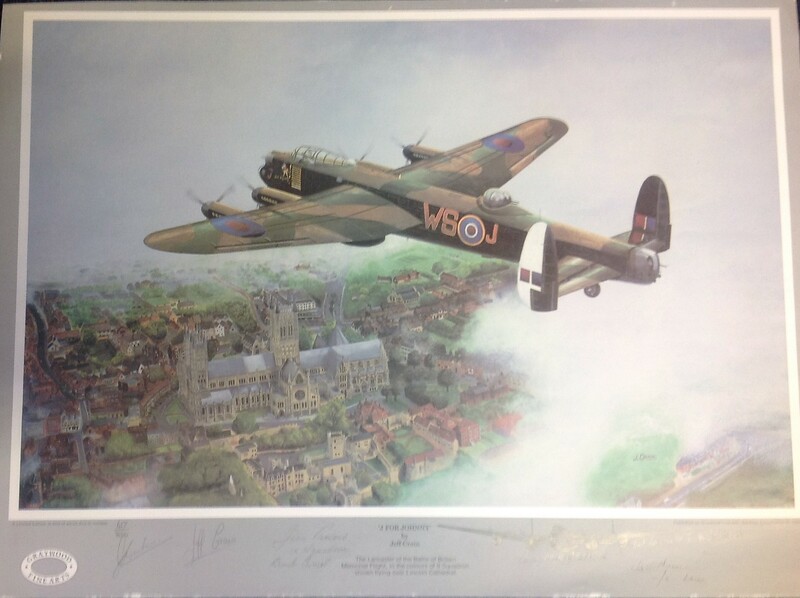 World War Two print 22x16 titled J for Johnny by the artist Jeff Crain limited edition 617/850 signed in pencil by the artist and Jim Parsons, Tony Allsopp and two other. Print cut to irregular size. From the collection of 617 Sqn aviation historian Jim Shortland. Good Condition. All signed pieces come with a Certificate of Authenticity. We combine postage on multiple winning lots and can ship worldwide. UK postage from £3.99, EU from £5.99, Rest of World from £7.99.